You are at:Blog»Beep News»BEEPBEEP NEWS: So What’s New This 2019? 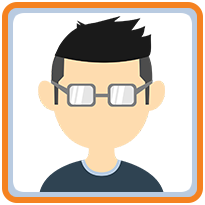 BEEPBEEP NEWS: So What’s New This 2019? January is about to end, and yes it might be rather late for New Year Resolutions or a “New Year, New You” blog entry but we are just so excited to share some big BEEPBEEP news that we have kept these past months! It’s always been our goal to continue challenging the automotive industry and make sure that we can bring convenience in all aspects of car ownership. To start this year right, we have three new services that will come as a relief to most car owners. Are you ready to find out what? First on the list is Carwash Philippines. Last December, we launched this direct-to-home car servicing platform that can “wash your worries away!”. This 2019, have more time to do things you like or meet with the people you love now that you have the extra time to do so! To know more details on Carwash Philippines, you can check our blog post: Carwash Now at Your Doorstep. Let’s be real for a second, making sure that our vehicles are always in tip-top shape is not the only thing we worry about. Here in the Philippines, car registration is something most of us dread doing. With over 3 million cars in the metro alone, LTO registration often takes up too much of our precious time – the waiting, the long lines, the cranky car owners who have been waiting for hours and more. This unpleasant experience results to us having to pay the penalty fee that most of us aren’t aware of. Now, being caught in a situation like this could be avoided! Register and submit all the necessary details. You will be receiving an email confirmation from beepbeep.ph. Standard insurance will call you directly to remind you of your car registration renewal. Goodbye long queues! Goodbye stress! And hello to more happier moments this year. Now, how could we forget our friends from the South? For everyone who takes the Skyway every day, this is your lucky year! Launching early this year, South peeps can now top up your Autosweep RFID payment loading through our website! No need to go all the way to the Skyway main office for reloading. 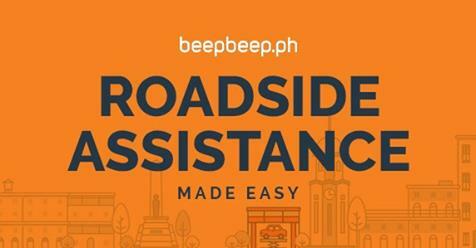 You can now easily pay in values of Php 500, Php 1000, Php 1500, Php 2000 dividends on beepbeep.ph. How convenient right? Driver on Demand is our newest innovation with a mission to make your everyday experiences with your vehicle easy and convenient. And if you’re caught in an unwanted situation on the road, our 24/7 Roadside Assistance service is here for you. Services like car towing, flat tire change, battery jumpstart or replacement, car locksmith, fuel delivery and even mechanic on demand. You don’t have to worry anymore because we got you covered. Well, there you have it folks! 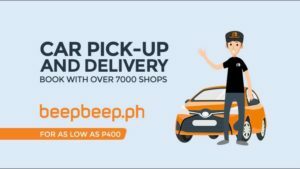 We hope that our BEEPBEEP News for 2019 will help you through long queues and hassle. We hope that through these new services, you can spend your time doing more important things. Wishing everyone a less stressful and more successful 2019!